Olivia, sophomore staff writer, enjoys listening to throwback music from the 2000s, eating ice cream, and taking long walks on the beach. Slip and slides, dunk tanks, soccer, food and tie-dye. For students, Boro Blowout on April 28 will provide a day to relieve stress and have fun with friends. SGA has stationed representatives at tables in the Commons to aid with online sign-up for sessions during the day. Each session will be a 50-minute block, with time to change in between sessions. Students can coordinate their sessions with friends or choose sessions with activities that best suit their interests; at Boro Blowout, there’s something for everyone to enjoy. For dance fans, there’s the so-called Dance Battle of the Decades, and students who would rather be outside can enjoy inflatables, soccer or ultimate frisbee. SGA and students alike look forward to Friday’s event, and those looking for more information about Boro Blowout can refer to social media outlets for CHS. Using your phone during school may not be typically associated with academic success, but these apps are here to change that. Here are four apps that some teachers and students are using to stay focused and succeed. Have you ever wanted a reward for not being on your phone during class? 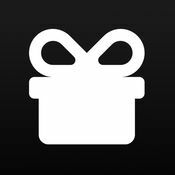 With the app Pocket Points, you can get rewarded with free food and sales on local and chain businesses for simply not being on your phone. Pocket Points is an app created to keep students off their phone during class hours. It’s available for almost all touch screen phones and has four simple steps. Download the app, make an account, choose your school and turn your phone screen off. Every hour that you’re off your phone, you earn two points which can easily start adding up with the option of gaining 14 points per day. 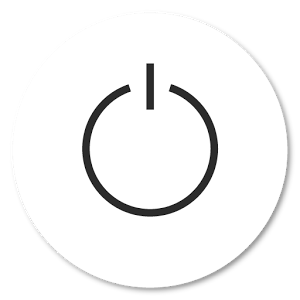 Unlike the app Pocket Points, Offtime doesn’t force you completely off your electronics, but it does filter what you can and can’t see. With this app, available for phones and computers, you can filter notifications from friends and social media apps that could be distracting while working. This allows you to work distraction free, or just stop you from occasionally glancing at your phone when you’re with family or friends. Offtime also tracks what apps you spend most of your time on and how often you’re on your phone. This app is currently only available for iOS and An- droid users. If you have a hard time separating yourself from your phone, FlipD is the app for you. It’s a more aggressive approach to going off the grid. Flipd lets you lock your phone for a certain period of time, and once you set the lock time there’s no going back. Even restarting your phone won’t disable the app, so it’s impossible for you to cheat. Another feature that’s helpful is that other users can shut off your phone. This could help during group projects to make sure teammates are focused. FlipD is currently only available for Android users. Moment isn’t as extreme as other apps, however it’s still very effective. 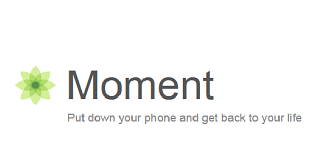 Moment is a new iOS app that allows you to track your device usage and lets you set daily limits of screen time. If having a self timer with an alert isn’t enough, you can also use a setting that “forces” you off the app by sending repetitive alerts telling you that you’ve gone over screen time. These continuous alerts encourage users to turn off their phone and get back to life. After a successful season, ending with more than half the team going to regionals and states, the CHS swim team is preparing for another season of success. Victory won’t come as easily this year, however. This year, the team has new swimmers in addition to the returning ones. “At first I was nervous about changing schools because I wasn’t sure if I would fit in, but the swim team has been really helpful because everyone is welcoming and made me feel like I was part of a family,” said Ian Ward, new swimmer and sophomore on the CHS swim team. Senior captain Caleb Bollenbacher is taking on this challenge, leading the team through challenging practices and team bonding activities. “Ever since I joined, I never felt like the team was just a bunch of individuals, but more like a family. “Everybody working together and supporting each other,” said Bollenbacher. On December 12, the entire swim team participated in an event called “Hour of Power.” This annual event occurs all around the country in honor of Ted Mullin, a swimmer who died of cancer in 2006, and who was a close friend of Coach Eli. The event is great practice for the team, and serves as a team bonding experience. It’s engineered to teach the swimmers about sportsmanship and competition. The swimmers will have plenty of time until states to practice and become even closer as a team, and they are more determined than ever to carry on the team’s legacy to states. 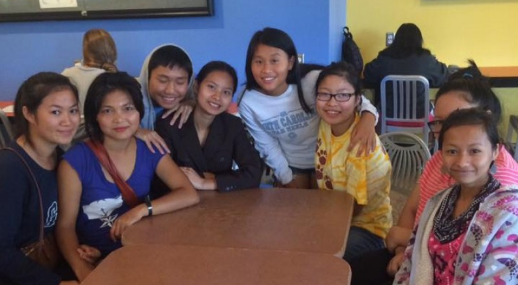 This year, Karen refugees graduated from CHS will be able to see their friends and family for the first time after coming to the United States, with the help of our students and a fundraiser run by student government. Winter Links is a long-standing tradition at Carrboro. The yearly fundraiser is hosted by student government and encourages giving back to the local community in a friendly competition between homeroom classes. Students are encouraged to give back by donating money to a chosen organization. Every time a student donates money, it goes towards a “winter link:” a piece of color paper used to create a decorative chain that is a creative way to show the progress of how much money each class has raised. In past years SGA has chosen organization such as Positive Impacts for Kids, a nonprofit run by junior Leanne Joyce. This year SGA chose to fund a project that teacher John Hite started. Hite is organizing a trip over the summer of 2018 for Burmese Karen refugees, all of whom are former or current students. The goal is to raise enough money to help the students to travel to Thailand over the summer to visit friends and family living in refugee camps. “It would be very meaningful to these former CHS students to be able to know that their school and community is in support of them and their desires to reconnect with friends and family,” Hite said. The charity is hoping to collect enough funds to visit Burma (Myanmar) as well, if it’s safe, because not all of the students’ families are currently living in Thailand. 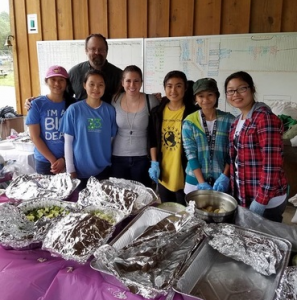 Throughout the year, Hite and the group will be doing more fundraisers in order to raise more money for their trip, such as multicultural nights, food fundraisers and possible silent auctions. Every year we welcome a handful a new teachers to Carrboro with open arms. Get to know some of the newest members of the CHS faculty. Jacqueline Smith adds a positive and fresh attitude to Carrboro High School. She taught previously in Durham and Ohio, and loves Carrboro already. “Carrboro is by far the best school I have taught at,” she said. Smith praises CHS for its very inviting atmosphere. “The students and staff are enthusiastic and friendly. I am also enjoying the strong sense of community at CHS,” she said. Smith teaches world history and civics & economics, and is the new Freshman Class Advisor. A fun fact is that she was an extra in the movie The Ides of March starring Ryan Gosling and George Clooney. The opening scene of the movie was filmed at Miami University, where Smith went to college, and you can see her twice in the first few minutes. While Ms. Rubenstein isn’t a new face to CHS, she is an honorary new teacher after having taking a break to teach abroad. Currently, she teaches ninth grade English and AP Literature. 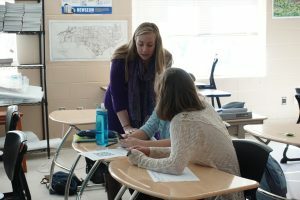 Ms. Rubenstein’s experience spans beyond high school english. She has also taught Spanish, typing and math. 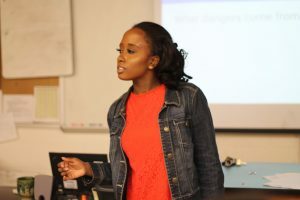 An avid traveler, Ms. Rubenstein has worked at schools around the country and world in places such as California, Canada, Jamaica, Mozambique, Kenya and Italy. “Carrboro is different because it’s small for an American public school, and it also has a well-maintained campus, ” said Rubenstein. In her free time she enjoys making and selling jewelry. “Carrboro is different from other schools because of how close the students are to each other. It is refreshing to see students laughing with each other instead of tearing each other down,” said Anna Lewis, the newest face of the science department. Lewis teaches Earth and Environmental Science as well as AP Environmental Science. Previously, she has taught chemistry, physical science and astronomy. After a long day of work, Lewis enjoys relaxing and watching an episode of Gilmore Girls or Golden Girls, her two favorite TV shows. 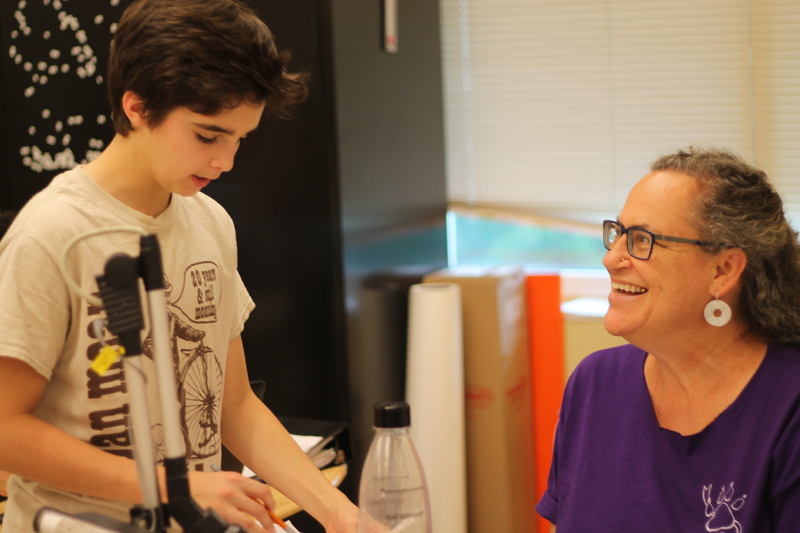 Top photo: Lisa Rubenstien helps student Gavin Leone in a 9th grade English class. Photo by Mireille Leone.